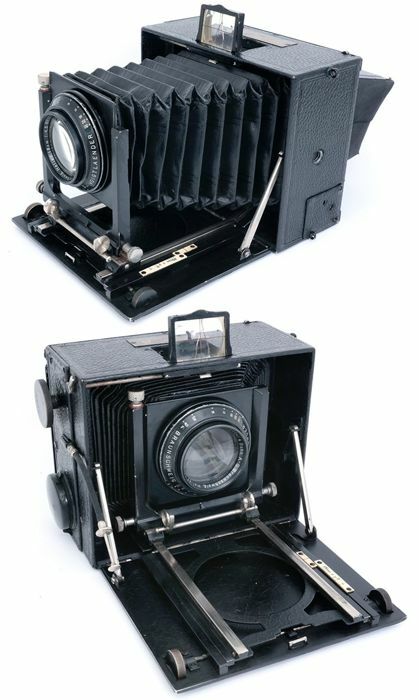 Heliar Camera II Folding 9x12cm Heliar 18,5cm f4,5. 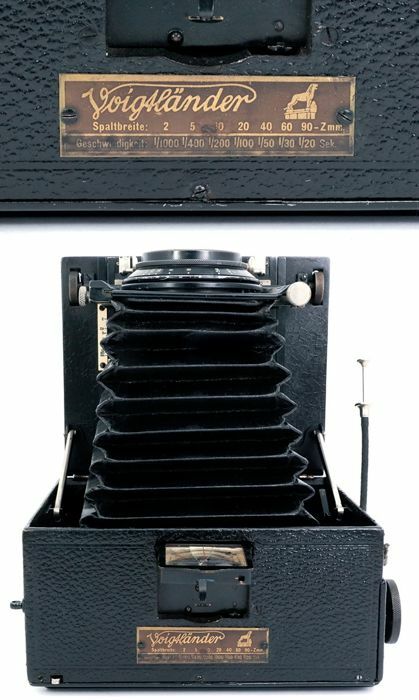 Rare camera. 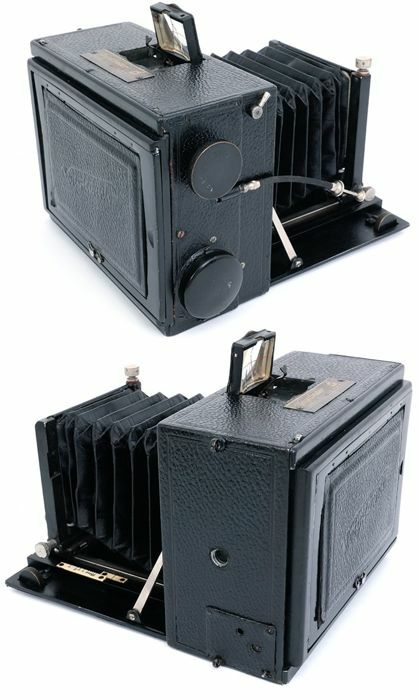 In auction a very rare Voigtlander Heliar camera II made around 1908-1920s. 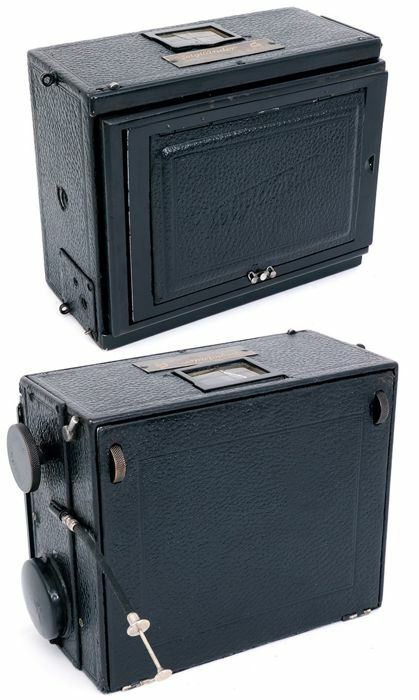 It's a strut-folding, plate camera 9x12cm. Self-capping shutter. 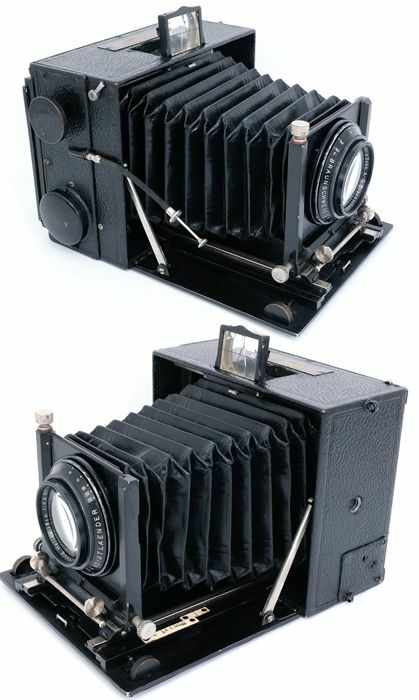 The lens is a Voigtlander Braunschweig Heliar 18,5cm f4,5 in great condition. The lens elements are in very good condition. Shows no cleaning mark, no haze, no fungus, no separation, no scratches, no scuffs. 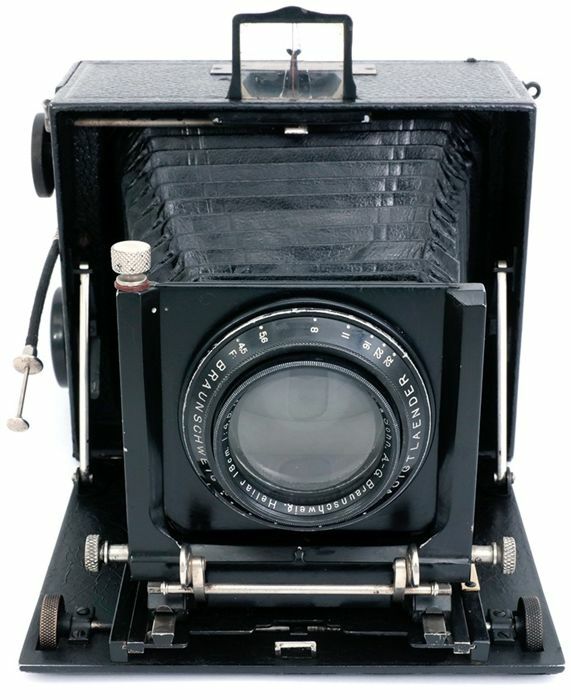 Aperture 4.5-25, aperture blades open and close properly there are not oil on the blades. 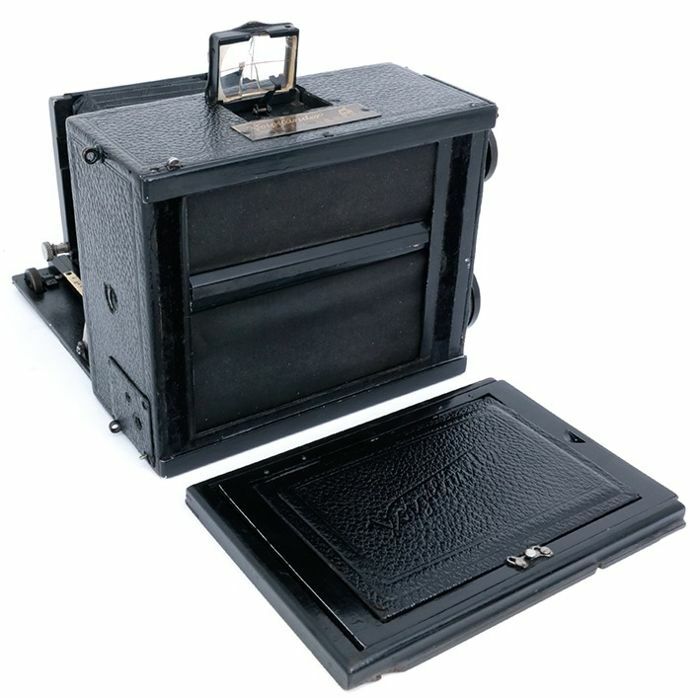 Original double bellows in good light leak free condition. 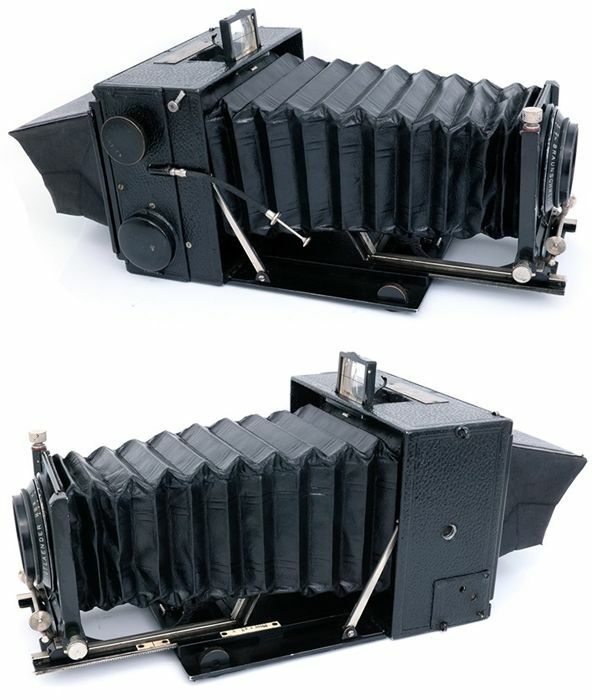 The focusing lens/bellows unit moves easily onto its guide rails. 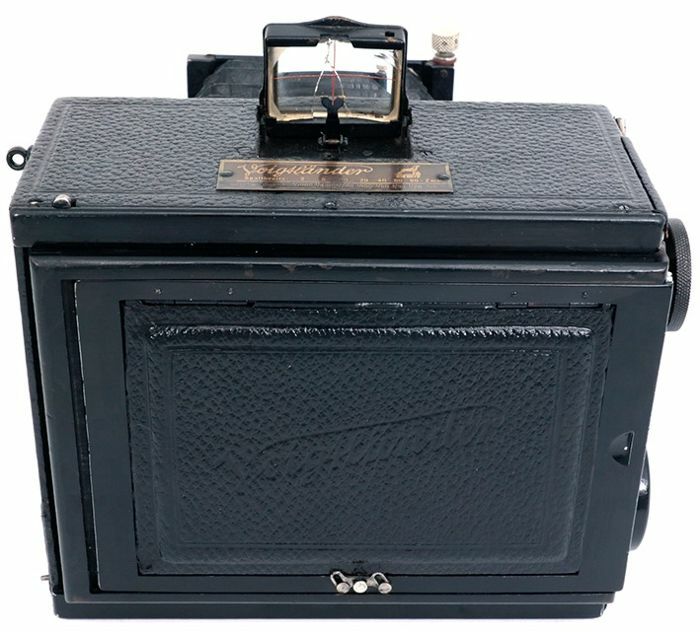 Ground glass in great condition. The curtains are present in the camera and do not have holes or tears. Unfortunately, a curtain rod is broken and therefore the shutter can not shoot and it is to be fixed. Finder glass is broken. Scarce camera. For this reason I sell this lens AI IS with no return. The camera comes with it's shutter release. Lens found in good cosmetical and mechanical condition. There was no damage in transportation and the camera was perfect! The happiest purchase! Thank you! I'll visit your shop again in the future! Inderdaad een zeer bijzonder stuk! En ook nog in een mooie conditie. Helaas nog niet getest. Maar de geleverde camera is SUPER! Echt Top! tutto ok come da descrizione. Alles verliep zoals Catawiki belooft. Pakje goed ontvangen, niet correct, vijs tas camera ontbreekt. Thanks, Prima geregeld, leuke site! Grazie per la transazione positiva. Quick delivery. Good condition. Thanx! Pacco ben sigillato e tamponato. Arrivo concordato col venditore rispettato. 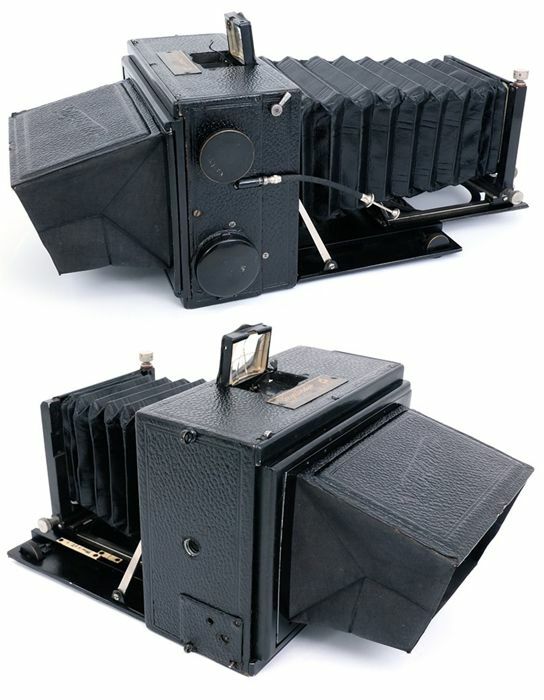 Quite nice - though a stretch to call it a Leica copy!